Hometown: I was born and grew up in Belleville, Il (near St. Louis). I moved to Chicago four years ago and now live in Lombard. 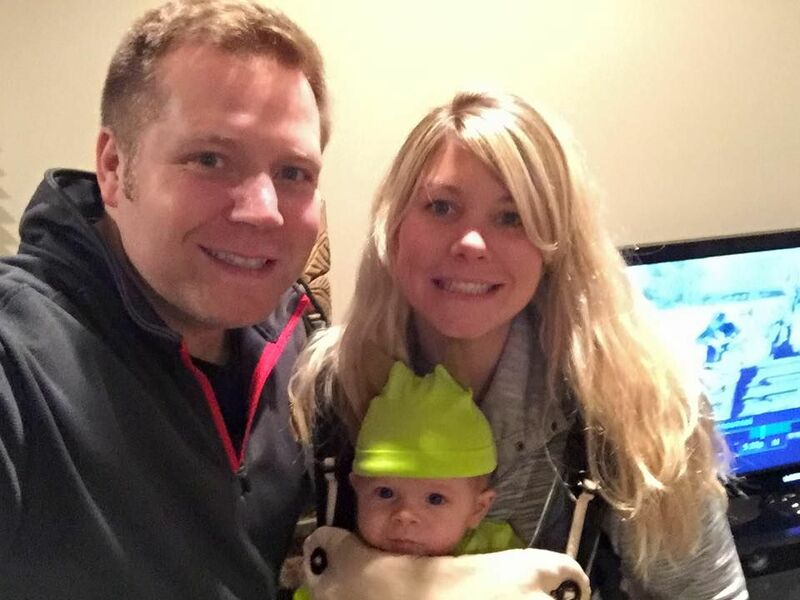 Tell us about who is in your family: My husband John and I had our first baby, Grayson, in June. I have one brother, Ryan, who recently moved to Dekalb to attend NIU. My mom still lives in Belleville and makes a trip to Lombard a couple times a month to visit because she just can't get enough of baby Gray. My dad lost his year long battle with cancer last November shortly after we found out we were expecting. Current/Previous career: Before having Grayson I was a high school special education teacher. I am currently staying at home. Yay! What does motherhood mean to you? Motherhood has been a crazy and exciting ride. It has been so much harder and more rewarding than I ever thought possible. When I see other moms, I think to myself, "Wow, we're pretty awesome! These kids and husbands sure are lucky." What is the furthest you have been away from home? I went to Las Vegas for a friend's wedding and it was a great time, I love that city! How did you find FIT4MOM? I found out about F4M through a friend while I was pregnant. I took Fit4Baby with Erica and loved it! How as FIT4MOM changed your life? F4M has been a great addition to my life, I don't know what I'd do without this great group! I started stroller strides when Gray was seven weeks old. He was colicky and would cry non-stop, it was exhausting. Luckily he loved being in the stroller so anything I could do to get out of the house and be around other people was such a relief. Gray and I look forward to going every morning. Body Back was also a great experience. I was able to really focus on myself, have time alone, and recharge. Not only did I lose weight and inches but I am so much stronger and I love it! I also love that my clothes are too big. Lesley was an amazing motivator and coach, we were so lucky to have her! Proudest moment: While I was pregnant I was so nervous about labor and delivery. I had no idea what to expect and I was pretty sure it was going to be a terrifying experience. Turns out, it wasn't as bad as I thought. After giving birth I was surprised at how well I had done. I felt so strong and felt like I could do anything. I made and delivered a person! Booya!